Gibson County is a county located in the southwestern part of the state of Indiana. As of 2010, the population was 33,503. Gibson County was created on April 1, 1813. The county seat is Princeton. The county is named for John Gibson, secretary of the Indiana Territory. 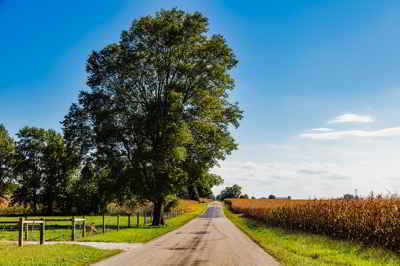 Gibson County is included in the Evansville, Indiana-Kentucky Metropolitan Statistical Area. The county is named for General John Gibson, Secretary of the Indiana Territory and repeatedly acting Governor of the territory in the absence of General Harrison. Gibson County was organized April 1, 1813, the same year that the State Capital was moved to Corydon. Gibson County is divided into 10 Civil Townships as follows: Barton, Center, Columbia, Johnson, Montgomery, Patoka, Union (formed from Johnson & Patoka), Wabash, Washington and White River. The first white settler of Gibson County was John Severns. He was a native of Wales and came with his parents to America several years before the Revolutionary War. He settled in Gibson County in 1789-90 on the south bank of the Patoka river at a place now known as Severns bridge. One of the first settlers of Gibson County was William Hargrove, who came from Kentucky by pack mule in 1803. Capt. William Hargrove commanded a company of militia from Gibson County at the Battle of Tippecanoe in 1811. The Rev. Joseph Milburn, along with his son, Robert Milburn, also arrived in 1803. They settled near Princeton, between the Patoka and White Rivers. The Milburns were from around Washington County, Kentucky. Rev. Milburn, a Baptist, established the first church, while his son, Robert, established the first distillery in Indiana. In 1805, Jacob Warrick arrived, along with his father-in-law, Thomas Montgomery. They burned out the last Indian village in 1807, chasing the inhabitants into the Illinois Territory. Capt. Jacob Warrick was killed at the Battle of Tippecanoe in 1811. Gibson County was organized in 1813 out of Knox County. The County was named for John Gibson, an officer in the French and Indian War and the Revolutionary War. Gibson was Secretary of the Indiana Territory, serving as acting Governor on two occasions. Warrick County was organized out of Gibson County almost a month later, the two counties separated by Rector's Base Line. When organized on April 1, 1813, Gibson County occupied everything from the Paoli Base Line to the Wabash River and from the White River to the Ohio River. Rector's Base Line separated the southern half of the county to form Warrick County which was organized on April 30, 1813. Warrick, Orange, Perry, Spencer, Posey, Pike, Dubois, Crawford, and Vanderburgh Counties and part of Lawrence County all came from the roughly 2,000-square-mile (5,200 km2) area occupied the original Gibson County. Indiana Map of Counties on April 1, 1813. In 2005, a serious flood of a Wabash River tributary endangered the small settlement of East Mount Carmel. When the county was organized, Patoka was initially intended to be the county seat. However, Patoka's low-lying location along the Patoka River gave rise to a malaria epidemic; to avoid this, the commissioners chose to establish a new town, eventually known as Princeton on higher ground approximately four miles south. However, although Princeton contends that it was the only county seat, some contend that county records indicate that Owensville was a temporary county seat since Princeton was not even laid out until late 1814, at least a year after Gibson County's organization. As reported by the Census Bureau, the county has a total area of 526 sq mi (1,360 km2). 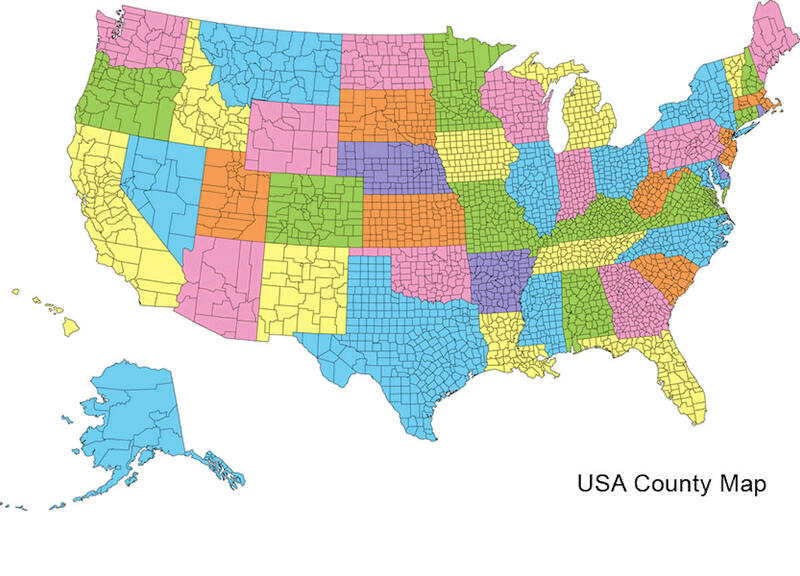 516 sq mi (1,340 km2) of it is land and 10 sq mi (26 km2) of it (2.06%) is water. 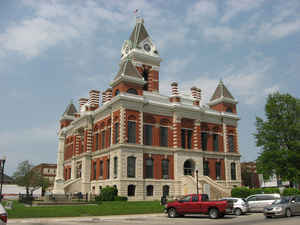 Gibson county is located in southwest Indiana. The county is a largely rural county. The western part of the county consists largely of spread-out farms inclined to flood, with marshes along the Wabash and White Rivers. There are rolling hills around Owensville, and lforest and marshland near the Gibson Generating Station. The northern part is near the White River and is more hills and forest. The eastern part contains many hills and is also dotted with strip pits and active coal mines. The southern part is more valley and marshland. Southwest: Posey County; White County, Ill.
Northwest: Edwards County, Ill.; Wabash County, Ill.
Ivy Tech Campus - 2 miles (3.2 km) south of Princeton, soon to be within city limits in upcoming annexation.